Christopher Stampone is a postdoctoral fellow at Southern Methodist University, where he is completing a book on the Bildungsroman in America and Britain during the Romantic period. He also serves as a Communications Fellow for the Keats–Shelley Association of America. His work has recently been published in Keats–Shelley Review, African American Review, Early American Literature and The Explicator. As part of this ongoing series on Teaching Romanticism we will consider the ways in which we lecture on and discuss individual authors, whether during author-specific modules or broader period surveys. I thought it would be particularly useful to hear about which texts educators use and in what context, whether they place certain poems or prose works against those of other writers, or use contemporary or modern theoretical texts, or something else entirely. For this strand of blog posts I invite academics across the world to share their advice and tips on any aspect that interests them about teaching Romanticism. Many thanks to all of those who answered my call through NASSR-L, the BARS Review and elsewhere (lightly edited samples are reproduced below with permission of the authors). Please do feel free to contact me with proposals for future subjects. We will be considering a range of writers, canonical and non-canonical alike, in the coming months. This issue was edited by Christopher Stampone. During my visit in 2013 to the North American Society for the Study of Romanticism conference in Boston, I was asked to participate in a roundtable discussion on the teaching of Romanticism, and I was a little surprised at the pronounced hostility to theory that was evident among the academics gathered there to discuss poetry of the early-nineteenth century. It is true, of course, that Romanticism has always had an ambivalent relationship with high theory, generating some of the most innovative work in scholarship—one thinks of Harold Bloom and Geoffrey H. Hartman on Wordsworth, or James Chandler on the broader culture of England in 1819—while at the same time asking students to engage with the poetry of Romanticism, in particular, on an emotional and affective level. The experts on Blake and Keats who were gathered in Boston tended to regard critical discourse as an impediment to their students’ wholehearted engagement with primary texts, and much teaching of Romanticism has attempted, at times awkwardly, to straddle this divide between different models of reception. To some extent, this problem has also been exacerbated by the particular assumptions that have traditionally informed the Romantic canon. M. H. Abrams’s marked preference for Wordsworth rather than Byron as the standard-bearer for Romanticism carried with it a Wordsworthian suspicion of abstraction, detachment, and of the whole critical apparatus involved in obstructing an understanding of Wordsworth as what Abrams called “a poet of the revelatory and luminous Moment” (387). 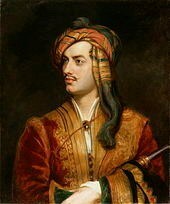 By contrast, the Byronic combination of Augustan and Romantic styles, along with his tendency to elide epic into mock-epic, has not sat so comfortably with students for whom Byron’s “ironic counter-voice,” as Abrams put it, “deliberately opens a satirical perspective on the vatic stance of his Romantic contemporaries” (13). 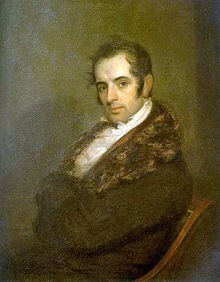 Within the world of American literature, suspicion of this seemingly duplicitous style of romantic irony led F. O. Matthiessen to exclude Washington Irving, a great admirer of Byron, from the five canonical authors he installed in his American Renaissance: Emerson, Thoreau, Hawthorne, Melville and Whitman. Like Abrams, Matthiessen privileged an ideology of organic wholeness that became very influential in relegating Irving to a secondary status on the American literary syllabus. It is obvious, of course, that the pedagogical objects of Romanticism have evolved substantially over the past thirty years, not only because of a new emphasis on questions of race and gender, but also because of the increased attention to the social and political contexts of Romanticism, especially slavery, and the implications of such contexts for the framing of literary works. One session at the 2017 MLA Convention in Philadelphia was entitled, typically enough, “Reloading the Romantic Canon: New Texts and Contexts from Godwin, Shelley, and Hazlitt.” Romanticism as a field is particularly open to “reloading,” with its constitutional emphasis on regeneration and renewal working as a mechanism of self-renewal. All of this, however, remains uncomfortable and problematic from the point of view of professors in the field who are eager, at least as a first requirement, to encourage their students to actually read and engage with literary texts. The recent critical emphasis on “affect” in literature, together with the impulse to understand poems and novels as transcending their time rather than merely being the product of it, has reinforced the instinctive preference among some teachers for concentrating on, as their favorite phrase puts it, “the text itself,” rather than getting tangled up in concern with larger cultural issues that they deem extraneous to the poems’ central concerns (see Felski on affect, and Clune on literature and transcendence). Though this kind of pedagogical tension is in principle endemic to any work of literature, it carries more purchase within the field of Romanticism than within, for example, the academic domains of medievalism, Enlightenment or modernism, where a certain combination of literary text and historical context is usually deemed indispensable for the recovery of meaning. It is the compulsive desire of Romantic writers to transcend the boundaries of time that also makes it difficult, and arguably undesirable, for teachers to position their works within the conventional rubrics of literary history. While such atemporal perspectives may create particular intellectual opportunities—they help us, for example, to see Thoreau as a proselytizer for imaginative solitude in general, rather than as merely an ornery example of the isolationist New England temperament—they also create particular difficulties in the classroom treatment of Romanticism. The solution, more easily said than done, may lie in the possibility of embracing both affect and estrangement, emotional engagement and intellectual analysis, within the same pedagogical breath, so as to offer students the opportunity to both feel and think their way through the complex, multidirectional world of Romanticism. One of the long-term benefits of transnationalism as a critical practice has involved its recognition of displacement as a constitutive feature within the production of literary works, so that Byron and Irving—and Wordsworth too, for that matter—are understood in relation to forces that their narratives are implicitly resisting or alienating themselves from, as well as in relation to, the apparatus of imaginative empathy. Abrams, M.H. Natural Supernaturalism: Tradition and Revolution in Romantic Literature. New York: Norton, 1971. Print. Bloom, Harold. “The Breaking of Form.” Deconstruction of Criticism. Ed. Bloom. London: Routledge and Kegan Paul, 1979. 1–38. Print. Clune, Michael W. Writing Against Time. Stanford: Stanford UP, 2013. Print. Felski, Rita. The Limits of Critique. Chicago: U of Chicago P, 2015. Print. Hartman, Geoffrey H. “Words, Wish, Worth: Wordsworth.” Deconstruction of Romanticism. Ed. Harold Bloom. London: Routledge and Kegan Paul, 1979. 177–216. Print. Matthiessen, F.O. American Renaissance: Art and Expression in the Age of Emerson and Whitman. New York: Oxford UP, 1941. Print. In this essay, I discuss the benefits of teaching Edgar Allan Poe and his engagement with British Romanticism as part of a survey course in Early American literature. In mentioning their initial reception of Poe as an author, undergraduate students typically discuss their acquaintance with his work from high school. They usually remember one story—“The Cask of Amontillado,” “The Tell-Tale Heart,” or “The Black Cat”—and relate how that story produced for them either a gothic thrill or leaden sense of moral allegory. The stories, moreover, do not seem to occur in any place and time that the students can identify, and neither does Poe’s most popularly recited poem, “The Raven.” The Poe that students then construct from these readings is one that is spectral, even angelic, and painfully earnest. He does not, initially, come across to students as particularly “American.” Poe’s avid French reception, moreover, contributes to this image as a rootless cosmopolitan, leading one to think that, to emphasize Poe’s Americanness, one would have to turn inward and teach only the most explicitly parochial texts. I have found, on the contrary, that teaching Poe’s engagement with British Romanticism actually helps students understand his place in American literature, as well as the peculiarities of America and the American South at his specific historical moment. To be sure, Poe had significant ties to Britain. As a child, his foster family took him to the United Kingdom, where he attended school in Irvine, Scotland; Chelsea, London; and Stoke Newington, a London suburb. As an adult, he cited British literary figures extensively when explaining his theories of poetics, famously bashing William Wordsworth in favor of Ossian, the “translated” bard thought to be a figment of James Macpherson’s imagination, even writing that the true authorship of Ossian “can surely be of little consequence” (Essays & Reviews 9). Students read this review of Ossian in “Letter to B—,” a satirical essay included in his 1831 volume Poems, and while it is unclear the degree to which we should take seriously his preference for Ossian over Wordsworth, his remarks do open up important questions about poetry. Specifically, Poe’s critique asks us how much—when it comes to poetry or other aesthetic productions—authenticity should matter at all, especially when the authenticity is awkward, or worse, an affectation in itself. Students then read the John Keats letter that critiques Wordsworth’s “egotistical sublime” alongside Poe’s critique of Emerson: “Mr. Ralph Waldo Emerson belongs to a class of gentlemen with whom we have no patience whatever — the mystics for mysticism’s sake” (Graham’s Magazine 49). Students then reflect on how Keats’s remarks echo the materialist Poe’s skepticism of Emerson’s Transcendental hubris. As a literary magazine editor, Poe read and reviewed the major British literary authors of his day, from canonical figures such as John Keats to forgotten writers such as Eaton Stannard Barrett. 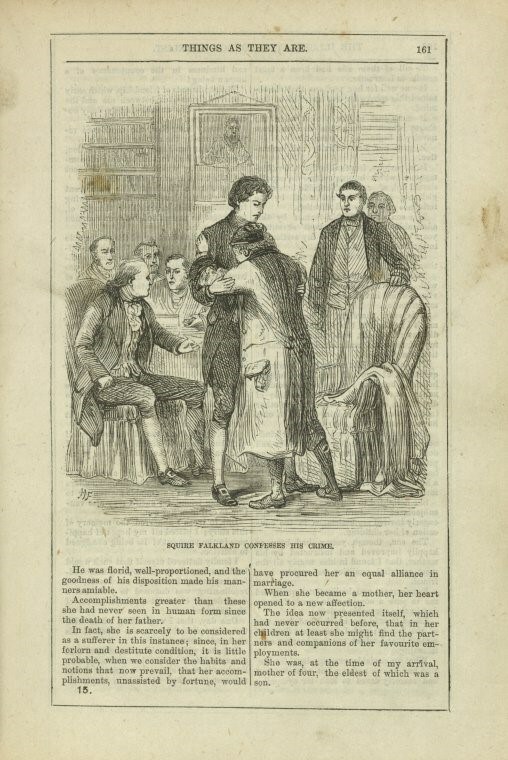 He knew other magazines’ professional habitus enough to produce “The Pit and the Pendulum,” an homage to Blackwood’s Magazine and its “tales of terror.” Similarly to the Blackwood’s tales, Poe’s story offers the first-person narration of a man caught in an extreme situation—in this case, the tortures of the Spanish Inquisition. After students read the text, they usually discuss how the story relates the narrator’s stream-of-consciousness—the discussion is philosophical, and utterly serious. It is only after students read “How to Write a Blackwood’s Article,” in which the editor of Blackwood’s advises the female narrator to cut her own head off and narrate what it feels like—and she does—that they appreciate Poe’s irreverence. This second story turns the tale of terror inside-out, revealing its formulaic nature and dispelling the sense that each tale is its own unique world. By implication, Poe then lays his short fiction open to the same scrutiny. In studying Poe’s engagement with British Romanticism, then, students see how his humor originates in self-reflexivity. As I have said before, teaching Poe’s lateral connections across the Atlantic Ocean also, surprisingly, illuminates his sense of being a Southerner in antebellum America. 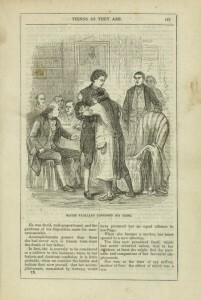 When it comes to discussing the American South and its attendant issues of slavery and racial violence, Poe’s short story “Ligeia” is a logical place to start, as even without reading any literary criticism, many experienced undergraduates will find clues that the heroine might be nonwhite or mixed-race, possibly a “tragic mulatta.” Readers of Walter Scott’s Ivanhoe (1819), meanwhile, will recognize in Ligeia a “dark lady” who resembles Rebecca, the Jewish heroine who must leave so that the Saxon knight can marry the blonde Rowena. 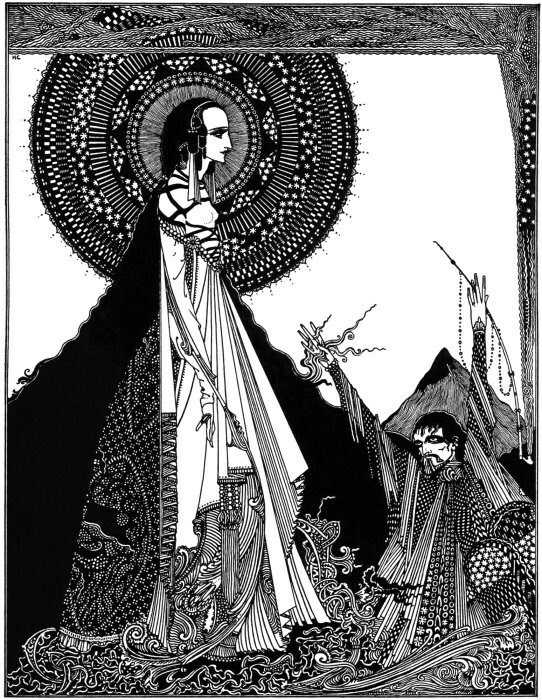 In Poe’s story, the dark lady also gets supplanted by a flaxen-haired Rowena, but in the end the dark lady comes back, in apparent repudiation of Scott’s ending. Poe wrote principally in the 1830s and 1840s, a period in which the South became enraptured with Ivanhoe: everywhere in slave-owning America, nostalgic representations of chivalry promised to imaginatively displace the systemic violence of slavery, or aestheticize it as latter-day feudalism. Ivanhoe thus inspired a subgenre of “Cavalier” novels by pro-slavery Southern writers, and Mark Twain would later remark wryly that the South never would have seceded if it hadn’t caught “The Sir Walter disease.” As I point out to my students, Ivanhoe came out a year before the Missouri Compromise (1820), a political agreement that barely staved off rupture between the free and slave states of America. Thomas Jefferson called the Missouri Compromise “the death knell of the union” (Writings 1434), and Poe would have grown up in the knowledge that sectional tensions had already come to a boiling point once before. In showing a mad (white male) narrator escape into delusions of chivalry, only to have these delusions redound upon him, my students often conclude, “Ligeia” implies—decades before the secession of South Carolina—that a Southern cataclysm was inevitable. Beyond simply illuminating another dimension of Poe’s literary output, then, teaching these examples of Poe’s engagement with British Romanticism reveal the American writer’s wicked sense of humor. As a literary magazine editor, he was acquainted with developments originating across the Atlantic, and also quick to see when those developments became trendy or cliché. Such conventions made great fodder for a writer who, in fact, was quite dismissive of anything too serious, and who buried a grim joke in even his most gothic stories. A professional writer who published in magazines from Baltimore to Boston, moreover, he also witnessed how antebellum Americans would refract their Northern or Southern sectional identities through their clumsy reconstructions of British culture. Moving outward, then, from isolated close-readings of Poe’s fiction to larger considerations of Poe’s historical and transatlantic context, I argue, helps students return to his stories and consider his humor and social awareness in addition to his gothic sublimity. Jefferson, Thomas. Writings. New York: Library of America, 1984. Print. Poe, Edgar Allan. Essays and Reviews. Ed. G.R. Thompson. New York: Library of America, Print. ———. Graham’s Magazine. 20 (1842): 44–49. Print. Kennedy, Gerald J. and Jerome McGann. Poe and the Remapping of Antebellum American Culture. Baton Rouge: Louisiana State UP, 2012. Print. Morrison, Robert and Chris Baldick. Eds. Tales of Terror from Blackwood’s Magazine. London: Oxford UP, 2000. Print. Osterweis, Rollin G. Romanticism and Nationalism in the Old South. New Haven: Yale UP, 1949. Print. Poe, Edgar Allan. Poetry, Tales, and Selected Essays. New York: Library of America, 2008. Print. Raimon, Eve Allegra. The “Tragic Mulatta” Revisited: Race and Nationalism in Nineteenth-Century Antislavery Fiction. New Brunswick: Rutgers UP, 2004. Print. Rosenheim, Shawn and Stephen Rachman. 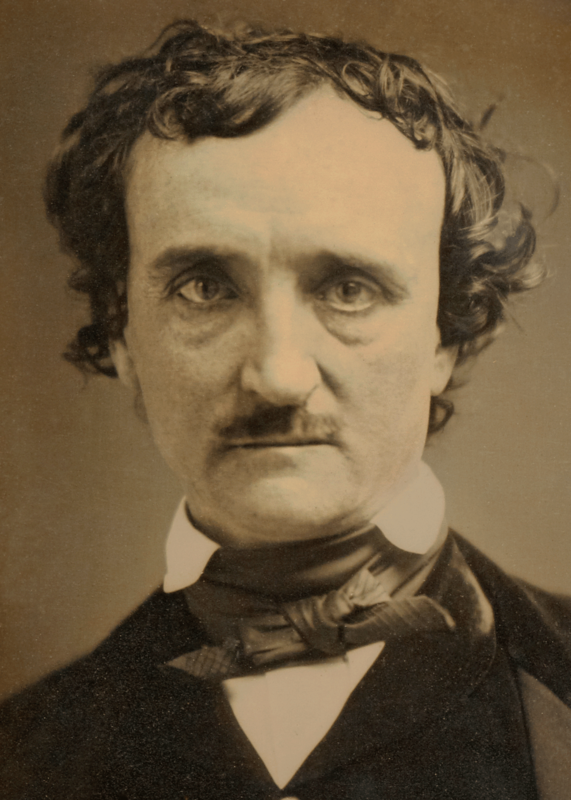 The American Face of Edgar Allan Poe. Baltimore: Johns Hopkins UP, 1995. Print. Watson, Ritchie Devon, Jr. Normans and Saxons: Southern Race Mythology and the Intellectual History of the American Civil War. Baton Rouge: Louisiana State UP, 2008. Print. Wieland introduces characters who move back and forth across the Atlantic, emphasizing the continuing social, political, and economic ties between the United States and its former colonizer as well as other European nations. Brown, however, complicates any simple narrative of America’s birth as a new nation from the ashes of a dying Europe. Near the close of Wieland, its narrator, Clara, travels to Europe. Her encounter with “the spectacle of living manners and the monuments of past ages” restores the “ancient tranquillity” she had previously experienced in Pennsylvania (237). This passage can function as a starting point for students to consider their preconceived notions of the relationship between the United States and Europe. How does Brown represent this relationship as an ongoing exchange of people and objects? How does this assist us in thinking about Brown’s own intentions for Wieland as a cultural object? Students can appreciate the immediate political relevance of the novel when they learn that Brown sent a copy to Thomas Jefferson when Jefferson was leading the resistance to the Alien and Sedition Acts (1798), but they should also be encouraged to think of other potential audiences for the novel. 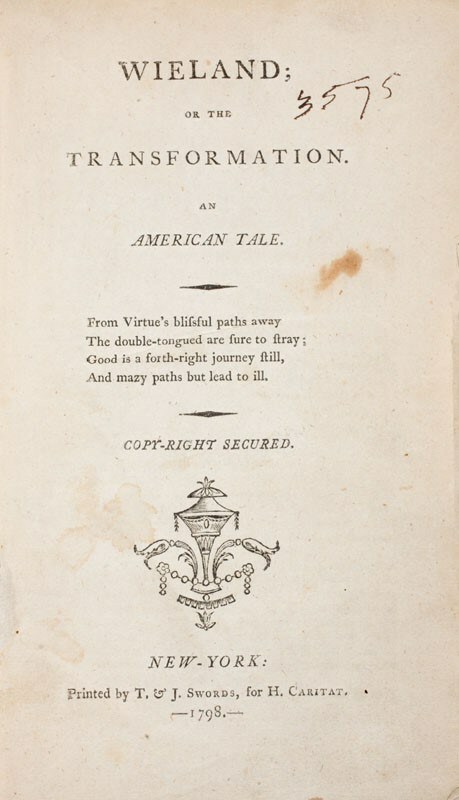 It was, for example, published simultaneously in London by a French émigré, Hocquet Caritat, and acknowledged as a precursor text in the preface to William Godwin’s later work, Mandeville, A Tale of the Seventeenth Century in England (1817), indicating that the cycle of influence continues and that transatlantic literary history is always multidirectional. Wieland is an explicitly transatlantic text, so turning next to one of its major British influences, William Godwin’s Caleb Williams, can open up a broader discussion about the shared socio-political concerns of both authors and how they use the novel form to explore them. Such a pairing invites several important questions: How and why do Godwin’s and Brown’s respective uses of first-person narration frustrate our desire for unified and trustworthy narratives? In what ways do their narrators appeal to the trust of readers and how do they undermine such gestures? When and how is the active judgment of readers invited, and how are we asked to exercise it? One possible approach to addressing these questions is to ask students to look at the defenses and accusations that are circulated in and as part of each text. What reading strategies are invited when a novel incorporates the extra-literary genres of criminal justice? This prompt provides an opportunity for research into the similarities and differences between the British and American justice systems at the time. However, it can also direct students’ attention to how Godwin and Brown use a similar form to raise similar questions about veracity and storytelling. For instance, both novels feature editorial interventions: Godwin’s asides and Brown’s footnotes include citations apparently designed to enhance the credibility of certain plot points, such as Caleb’s experiences in prison or Carwin’s biloquism. As students examine the reliability of each narrator, they should be encouraged to articulate the criteria by which we tend to evaluate the testimony of others. For example, Clara knows her “narrative may be invaded by inaccuracy and confusion” but asserts that this is to be “expected from the historian who is, at the same time, the sufferer” (147). In the light of this claim, what should we make of Caleb’s “imperfect and mutilated story” (316) and his rhetorical striving for “authenticity” through “simplicity and accuracy” (111)? These questions have real life consequences as we educate future citizens likely, for example, to serve as jurors, and demonstrate how Godwin and Brown use literary techniques to address problems that confront all of us, regardless of time or place. Godwin and Brown’s formal strategy of first person narration ultimately enables them to speak to issues relevant beyond their immediate context. Any discussion of “the reader” of these novels needs to recognize how Godwin and Brown might anticipate different responses at different times and places. One of the joys of teaching literature transatlantically is introducing students to a new critical perspective on the world. When working with this material, I always emphasize my own subject position as transatlantic: I was born and raised in the United Kingdom, only emigrating to the United States as an adult. I share with students how this has allowed me to appreciate the best and acknowledge the worst of the national cultures that I live between, enabling me to be more deliberate in how I choose to affiliate myself with the different points of view that I observe as both an insider and an outsider. I suggest that authors who lived, worked, and thought transatlantically offer this critical position to their readers, a position we as educators can encourage our students to inhabit actively and ethically. Brown, Charles Brockden. Wieland and Memoirs of Carwin the Biloquist. Kent: Kent State UP, 1977. Print. Godwin, William. Caleb Williams. London: Penguin, 2005. Print. Bannet, Eve Tavor, and Susan Manning, eds. Transatlantic Literary Studies, 1660-1830. Cambridge UP: Cambridge, 2012. Print. Barnard, Philip, Mark L. Kamrath, and Stephen Shapiro, eds. Revising Charles Brockden Brown: Culture, Politics, and Sexuality in the Early Republic. Knoxville: U of Tennessee P, 2004. Print. Hutchings, Kevin, and Julia M. Wright, eds. Transatlantic Literary Exchanges, 1790-1870: Gender, Race, and Nation. Ashgate: Burlington, 2011. Print. Phegley, Jennifer, John Cyril Barton, and Kristin N. Huston, eds. Transatlantic Sensations. Ashgate: Burlington, 2012. E-book. Tennenhouse, Leonard. The Importance of Feeling English: American Literature and the British Diaspora, 1750-1850. Princeton: Princeton UP, 2007. Print. I teach a required general education course at Hunter College (CUNY) entitled “Introduction to Writing about Literature.” The stakes in this course are high: if a student does not successfully complete the course, they cannot gradate from Hunter. This administrative fact does not guarantee students will develop a lifelong love of poetry or even enjoy it at all. The task of engendering literary love is mine alone, and I have found no better assistants than my favorite transatlantic odd couple, Percy Bysshe Shelley and Walt Whitman. I pair Shelley and Whitman to introduce poetry—the course must cover poetry, drama and fiction—because their combined enthusiasm for poetry’s world-making power immediately generates interest from even my most skeptical students. We begin by reading excerpts from Shelley’s 1821 “A Defense of Poetry” and Whitman’s 1855 “Preface to Leaves of Grass.” I first situate these texts historically by introducing Richard Gravil’s assertion that “in numerous respects the situation of idealistic Americans in 1823–1862 […] involved preoccupations and expectations strangely parallel to those of England in the period 1789–1819” (Romantic Dialogues xiii). I then ask students to write a brief exploration of the similarities and differences between Shelley’s England and Whitman’s America with particular attention paid to the political, social, scientific, or other historical factors that they think could have impelled Shelley and Whitman to make such passionate arguments about the value of poetry. As students share the results of their research with each other and with me, a provocative snapshot of Transatlantic Romanticism emerges in which poetry is positioned as the direly needed antidote for the political, cultural, and moral defects that had led to the periods of crisis in England and America that Gravil identifies. 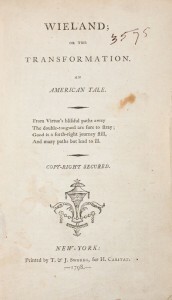 Once we become aware of Shelley’s and Whitman’s desires to connect poetry and social good, we focus on a small but crucial distinction between each author’s description of the ideal Romantic poet: Shelley calls this figure “an unacknowledged legislator” (701), while Whitman calls him a “common referee” (8). Discussing the differences between a “legislator” and “referee” allows us to look more closely at each poet’s national identity. We ask ourselves why Shelley’s “legislator” metaphor seems particularly British while Whitman’s “referee” metaphor seems quintessentially American. We then attempt to join the “legislator” and “referee” metaphors together by discussing how an ideal poet might be capable of using art to steer their society out of political and social turmoil. We finish our introduction to poetry by looking closely at a pair of Shelley’s and Whitman’s most accessible poems, “Ozymandias” and “When I Heard the Learn’d Astronomer.” Through these poems we finally get to see Shelley’s and Whitman’s verse and to consider in detail how their poetic theories transfer to practice. In addition, I am able to give an overview of the Romantic emphasis on the spontaneous activity of the imagination through a discussion of how the casual circumstances of each poem lead to surprisingly dramatic revelations. I ask each student to write a short in-class response about why they think Shelley’s speaker just so happens to “meet a traveler” who tells us that history and humanity can be wiped out in a godless apocalypse, and why Whitman’s speaker suddenly exits a lecture on astronomy, rebuking the certitude of nineteenth-century scientism by staring “in perfect silence at the stars” (409). Students share their responses with partners and then we enter into a lively group discussion about the imagination, the poetry of the everyday, and Romantic innovations to the “I” of lyric poetry. This exercise in Romantic thinking is a joy in itself but it also paves the way for our continued study of nineteenth- and twentieth-century lyric poetry in the following weeks. After years of using this transatlantic method of introducing poetry, I continue to be surprised by the level of engagement it elicits from my students. Over the course of two weeks of reading, writing about, and discussing Shelley and Whitman, we escape the confines of a required writing class and enter into a more capacious discussion about politics, ethics, and aesthetics in the Romantic era. I do not think there are two poets more able to demonstrate the urgency of poetry and poetic thinking than Shelley and Whitman. Gravil, Richard. Romantic Dialogues: Anglo-American Continuities. New York: Palgrave, 2000. Print. 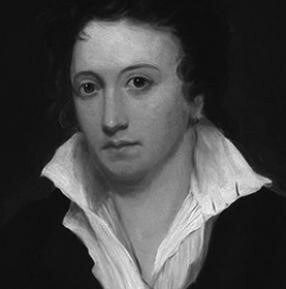 Shelley, Percy Bysshe. The Major Works. Oxford: Oxford UP, 2003. Print. Whitman, Walt. Complete Poetry and Collected Prose. New York: Library of America, 1986. Print. Duerksen, Roland A. “Shelley’s ‘Defence’ and Whitman’s 1855 ‘Preface:’ A Comparison.” Walt Whitman Review 10 (1964): 51–60. Print. ———. “Markings by Whitman in his Copy of Shelley’s Works.” Walt Whitman Review 14 (1968): 147–151. Print. Gilmore, Paul. Aesthetic Materialism: Electricity and American Romanticism. Stanford: Stanford UP, 2009. Print. Wynn, Thomas M. Transatlantic Connections: Whitman U.S. / Whitman U.K. Iowa City: U of Iowa P, 2005. Print.